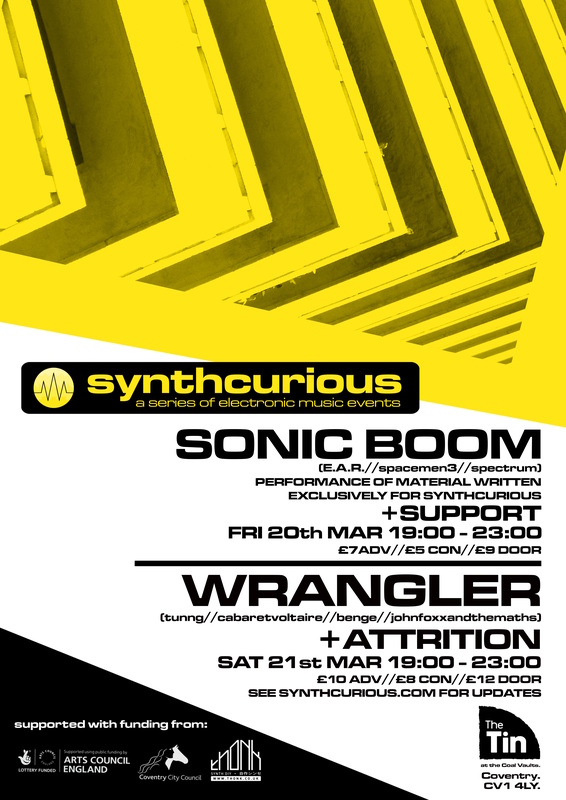 Synthcurious is the first in a series of electronic music events in Coventry. 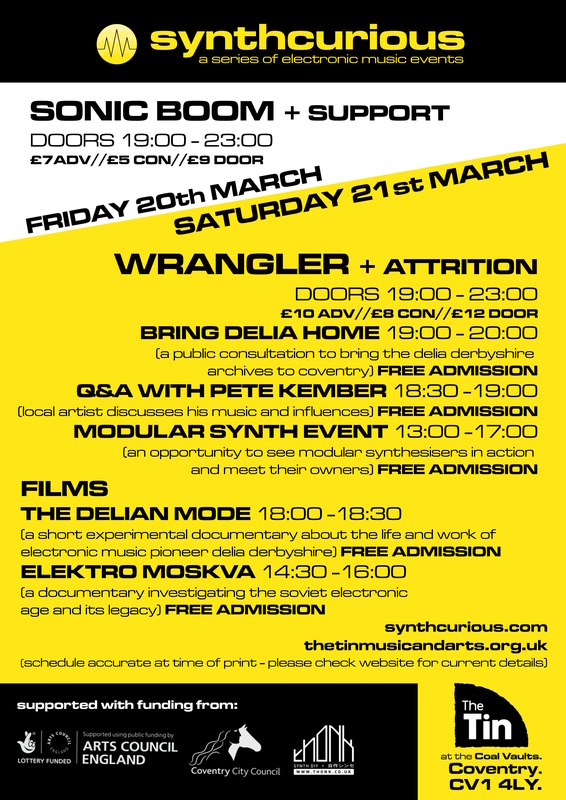 Curated by Alex Miles and Ian Campbell, with support from The Tin Music and Arts, and funding from Arts Council England and Coventry City Council, its intention is to demystify electronic music synthesisers, and make them more accessible to others, through live performances, modular synth meetings, films, and DIY synth workshops. In an age when synths are more widely available and affordable than ever, there has never been a better time to be synthcurious.